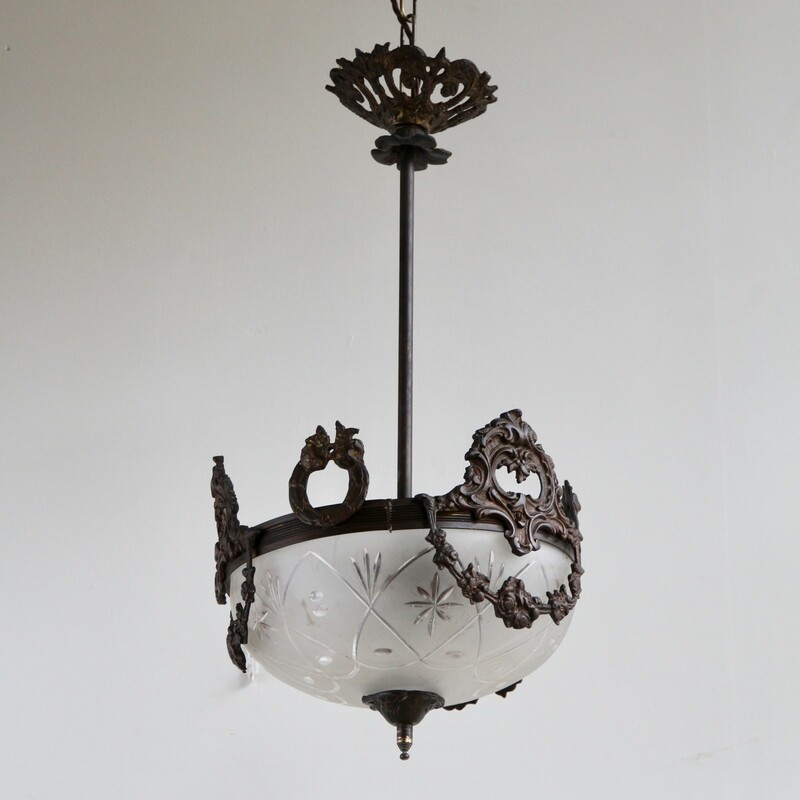 Delicate early 1900s French pendant with brass wreath decoration and a frosted cut glass shade. Its small proportions would make it perfect for a hallway or landing space. It has two B22 lamps.